A 38.4 mile section of the Western Kentucky Parkway, between I-69/Future I-169 (Pennyrile Parkway) near Nortonville and I-165 (Natcher Parkway) near Beaver Dam is proposed as new Interstate 369. The rural freeway connects the Muhlenberg County seat of Greenville and adjacent Powderly and Central City with the Ohio County cities of Rockport and Beaver Dam. Upgrades needed to bring the rural freeway to Interstate standards include replacing the four loop interchange at U.S. 431 (2nd Street) at Central City to eliminate weaving traffic. Designated by the KYTC as WK-9001, Western Kentucky Parkway extends another 98.4 miles east from I-165 to Interstate 65 and KY 61 at Elizabethtown. This portion is not currently proposed as an Interstate. 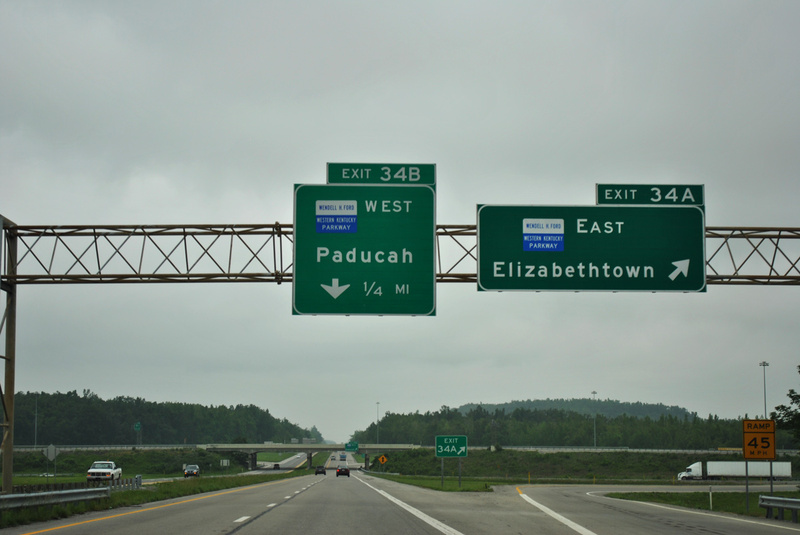 Western Kentucky Parkway west from the Pennyrile Parkway to Interstate 24 near Eddyville was designated in 2011 as the first section of Interstate 69 in the Bluegrass State. A full cloverleaf interchange joins Interstate 165 (Natcher Parkway) with the Western Kentucky Parkway in a rural area southeast of Beaver Dam. Signs for I-165 were installed along the Natcher Parkway starting in March 2019. Pennyrile Parkway (Future I-169) north at the eastbound ramp (Exit 34A) for the Western Kentucky Parkway (proposed I-369). The cloverleaf interchange between the two parkways was modified during a $29 million design build project to accommodate free flow movements for Interstate 69. Work at the exchange here wrapped up in November 2015.3 Photo taken 05/27/11. 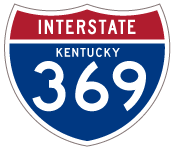 “Legislation Introduced to Designate I-369 Spur in Muhl., Ohio Counties” SurfKY, April 3, 2019. KentuckyRoads.com – Wendell H. Ford Western Kentucky Parkway. “Rebuilt I-69/Pennyrile Parkway interchange nearing completion.” The Gleaner (Henderson, KY), October 16, 2015.